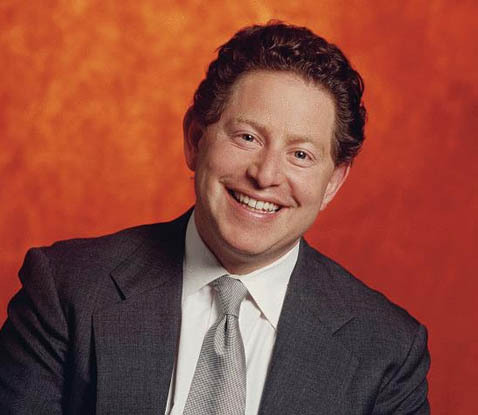 This man is the CEO, president, and director of Activision. He just looks like a douche, doesn't he? Activision has announced the closure of Infinity Ward. While it's not terribly surprising, it's still pretty sad. Apparently the company became an "expensive burden" after Jason West and Vince Zampella were fired and 46 staff members subsequently quit. Evidently, that hasn't had a great effect on team morale. In fact, Modern Warfare 3 was being developed by three studios prior to today's announcement. The crippled Infinity Ward was working with Activision's new CoD-centric studio Sledgehammer to develop the campaign, while Raven Software (of Quake 4, Singularity, and Wolfenstein fame) developed the multiplayer component. Activision, however, now finds it more profitable to let Infinity Ward go. Sledgehammer will be taking over the bulk of development on the new title, though it is currently unconfirmed whether the current IW staff will be merged into Sledgehammer, assigned to other Activision studios, or simply fired all together. The fall of Infinity Ward is a pretty sad tale. The studio will close its doors a week from today. You can read the press release on Activision's website.